I am an advocate of handwriting. Handwriting is an undervalued art form, one that's meaning comes from a deeper layer than the words themselves. 1. Just to be clear, I am not just talking about neat, beautiful, or perfect handwriting. I am not just talking about teaching "correct" handwriting to my 5th grade students. I am certainly not just talking about my own handwriting. I mean that I am an advocate of your handwriting, my handwriting, your children's handwriting- all handwriting. Neatness and penmanship have their place, but as I am writing this post I am thinking about the uniqueness of the way that you write, possible messiness and all. 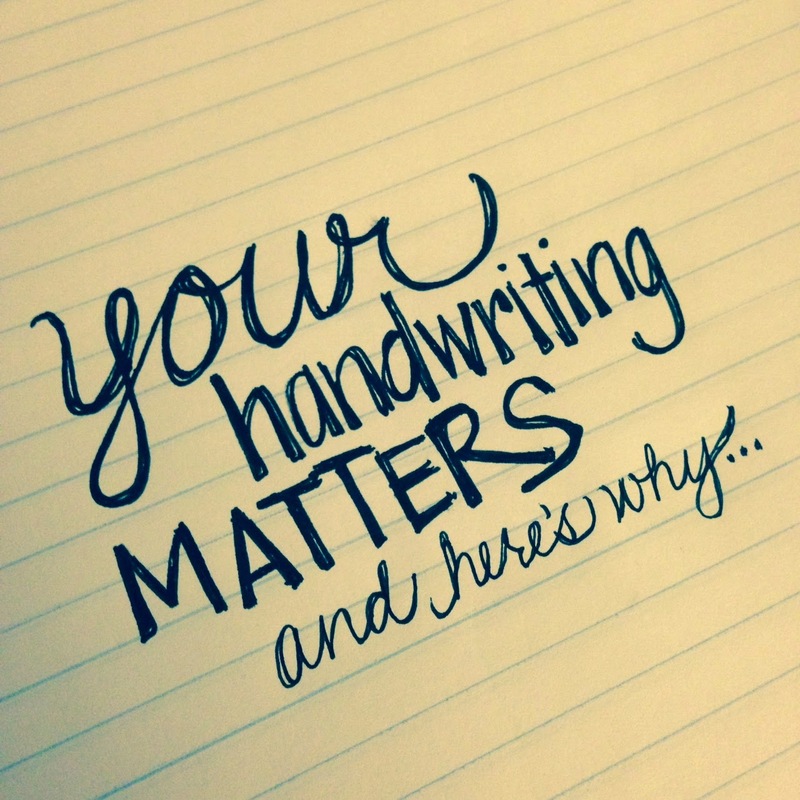 Your natural handwriting is what others will remember. When I encourage someone to handwrite something, they often say that it is just because I have great handwriting. While I will admit that my writing isn't terrible, I certainly don't always like it. Anytime we are close to something, we often are the first to see its flaws. I don't typically love my own handwriting, but that doesn't mean that I am not going to use it. Perfect is not a qualification for sharing a part of yourself. 2. Handwriting reveals personality. I remember using these cheap handwriting analysis books in jr. high to analyze how the slant of my l's revealed that I was an optimist and the curve on the tail of my y's showed that I was an introvert. I would not put a lot of stock into what official graphology says about you through your handwriting, but just remember on a personal level that your handwriting is a bit of, well, you. Your personality is carried and emotions can be expressed through handwriting. Despite the fact that the twenty two students in my classroom have almost all been taught by the same teachers, their handwriting is very unique and I can usually tell their papers apart easily even when they don't have names. I can also tell when they were in a hurry, when they were confident, and when they were unsure. I can see them in their writing. 3. In a world that limits human interactions more and more, handwriting helps us continue to share a bit of ourselves with another. It allows us to be Incarnational, to show that another is worthy of our time, and to help us see the person behind the communication that we share. This can be a lot harder through type-written texts, emails, and letters. 4. 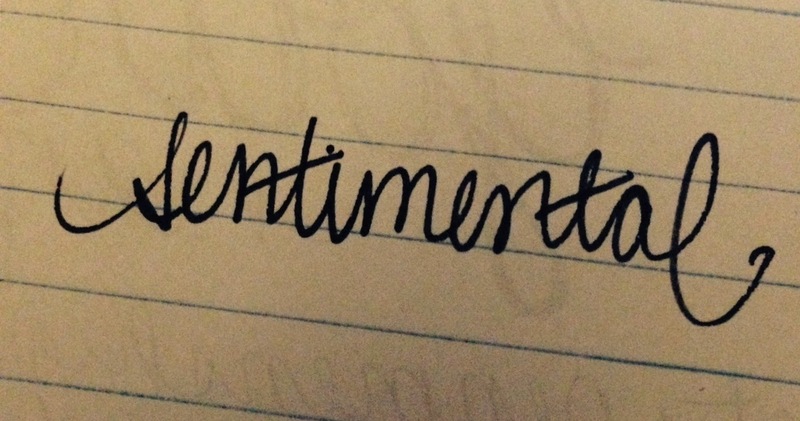 Handwriting is sentimental. Even if you are the opposite of a pack rat, I bet you have a few notes or cards tucked away in a drawer. You don't keep those cards for the pretty typeface "Happy Mother's Day" on the outside. You keep it for the scrawled second grader's message printed in pencil on the inside. Or you keep the note with the spidery cursive that was your grandfather's handwriting near the end of his life. My dad has some of the worst handwriting I have ever seen (which is saying something as a middle school teacher). However, the notes that he tapes on my mom's mirror in his terrible handwriting stay there for her to see and mean much more than anything he could have typed. Being sentimental doesn't mean that we are attached to the object, but to the person behind the object, and it is a good reason to handwrite things that might mean more to someone else. 5. 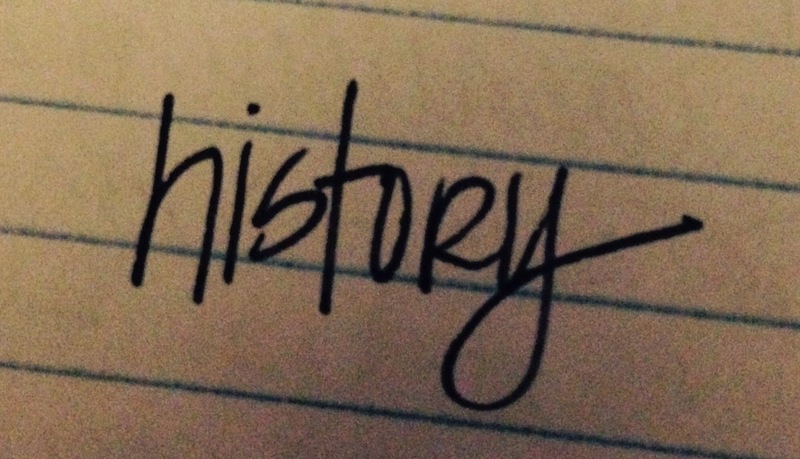 Handwriting is a little piece of history. As a genealogy nerd, I savor finding something handwritten by an ancestor. Handwriting is a missing piece of a person's story that can't be recreated after they are gone. Much like a photograph, that handwriting is unique and important. Finding original captions on the back of a picture, or a diary penned over time, or a note tucked in a box meant for a loved one from the past is like finding a unique treasure, one that I think we all can appreciate. 6. Your handwriting is a witness to what you believe. There is a reason that our signature is still (usually) required to be in our handwriting, even if it is created with a stylus and a digital screen instead of a pen and paper. Adding your handwriting to something is like adding a stamp of approval, an acknowledgement that testifies to the content of what you are writing. I challenge you to remember that your handwriting matters, that it means something to those around you, and that perfect isn't a requirement for something to be important. Find ways to incorporate handwriting into your days, and learn to love that you share a bit of yourself with each stroke of the pen.